If you are an ardent reader and have read the Divergent series, you must be hopelessly addicted. The books are full of thrilling action, suspense, and romance. There is nothing as bad as a book hangover and you wish you didn’t have to finish the book! The Divergent story had to come to an end, as sad as that is. You are in good luck, however. If you are looking for books like Divergent, there are myriad new releases of YA Dystopian novels this year alone. 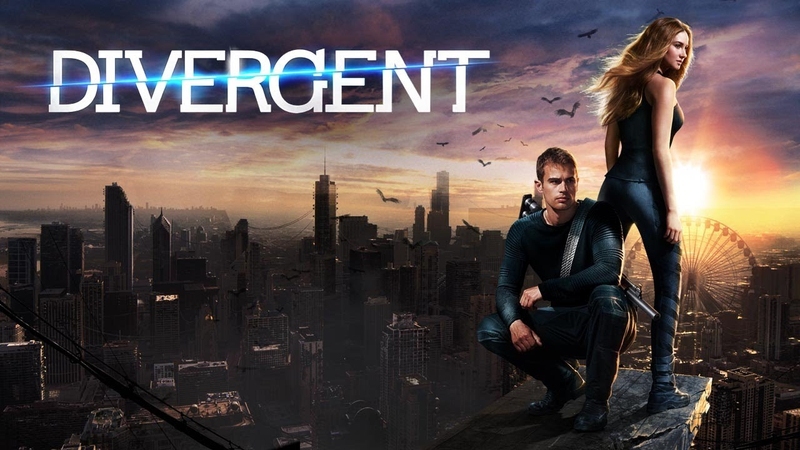 Read on to find out about other books that will leave a lasting impression, just like Divergent. Marie Lu is a master storyteller! She weaves a tale that is full of suspense and keeps your heart racing. This is a classic case of rich meets poor in a world divided by class. The Republic, once part of the western United States has been swept by war and plague. June hails from the ruling class and is being groomed for leadership in the Republic. Day is the Republic’s most notorious outlaw and was born and bred in the slums. June’s brother is murdered and Day gets blamed for it. June wants revenge for her brother’s murder and Day just wants a better life for his family. They both discover dangerous secrets the Republic has been hiding. In this compelling Dystopian thriller, Aria is in exile from her home, the enclosed city of Reverie. She has an almost zero chance of surviving in the Death Shop, the outer wasteland. Perry is an Outsider who is wild, and he is Aria’s only hope of making it out there. He is a hunter and in his eyes, Aria is fragile, as are all Dwellers. The twist, however, is that he needs to her help because she holds a secret that will redeem him. This book is powerful and captivating. The budding relationship between the two is told in their voices. It is a harsh and unforgiving world they live in, but the beauty of their love softens it. It is the first of a trilogy, followed by Through the Ever Night and ending with Into the Still Blue. Books like Divergent may be hard to come by, but this comes pretty close. Imagine a world where all choices are made for you. What you watch, how you dress, and even who you marry. Cassia knows no better than to trust the Society. During her Matching ceremony, she thinks Xander is her ideal mate until Ky Markham’s face flashes momentarily on the screen. She is hooked. Society tries to convince her it was a mistake to no avail. Cassia and Ky fall in love and she is faced with a difficult choice of Xander or Ky. This book is a gripping tale of love and the difficult choices one has to make. In a world where everyone ends up drop dead gorgeous, everything is perfect. Or isn’t it? Tally can’t wait for her 16th birthday when she gets her operation. This operation will turn her from an ugly duckling into a swan. Once you turn beautiful, you get promoted to a high tech paradise and all you do is party! Tally’s friend Shay has other ideas though. She wants to have a go at life on the outside and runs away. Tally gets an ultimatum to find her friend or stay ugly forever. She discovers secrets about the pretty world she hadn’t known. She has to make a choice. What will it be? A gripping tale of moral choices and their consequences in a world full of vanity. Ruby goes to sleep one night and wakes up the next day, her 10th birthday, a changed girl. She is sent to a government run rehabilitation camp – Thurmond. A mystery disease has swept through America, wiping out most children. The surviving ones are left with strange uncontrollable abilities. She escapes narrowly from Thurmond. She hooks up with a group of escaped kids and falls in love with Liam, the group leader. There are people trying to use Ruby and her gifts to bring down the government. If you’re trying to cure a book hangover with books like Divergent, this is a good choice. 16-year-old Thomas can’t remember anything except his name, and he is not alone. Enclosed by high walls is an open space and hundreds of young boys like him. None of them knows how they got there, and every 30 days a new boy arrives. They have created their own life and they hunt and farm. Then Teresa arrives. She is the only girl, and she tells them they are part of an experiment. Only Thomas has the ability as a leader to get them out. Laia is a slave who is spying on behalf of the rebellion in an effort to save her brother. Elias is a soldier who has no choice but to enforce the tyranny’s empire. They join forces and try to fight the tyranny. Their love is a breath of fresh air in an oppressed society. A gripping story from the first to the last page. The nation of Panem is a Capitol that lies in the ruins of what was once North America. The Capital is cruel and unforgiving. It forces all the 12 outlying districts to send a boy and a girl between 12 and 18 to participate in the yearly Hunger Games. These are to–the-death fights on live TV. Katniss Everdeen is 16 and is chosen to participate in the Games. She has no choice but if she is to win, she must make some tough choices on love, life, survival, and humanity. In this Dystopian first of a trilogy, love has been declared a dangerous disease. Once 18, the government forces everyone to go through a procedure called the cure. Lena Haloway is looking forward to the cure to avoid being like her mother. 95 days to the cure, she meets Alex and her life is turned topsy turvy. Will she make the ‘right’ decision or will she accept to fall in love with the enigmatic Alex? A terrible illness sweeps over the country. People are left with scars that give them amazing abilities. They are perceived as threats and are hunted down by the Inquisition Axis. One Adelina Amouteru is a survivor. The leader of the Inquisition is Teren Santoro, and Enzo Valenciano belongs to a group that exists solely to save these gifted survivors. It is inevitable that the three have to clash at some point. It becomes evident that there is much more going on than just the war between them. This is a powerful book, with equally powerful, yet complex characters. This book will thrill and keep you at the edge of your seat if you are seriously looking for books like Divergent. Server responsed at: 04/18/2019 9:17 p.m.